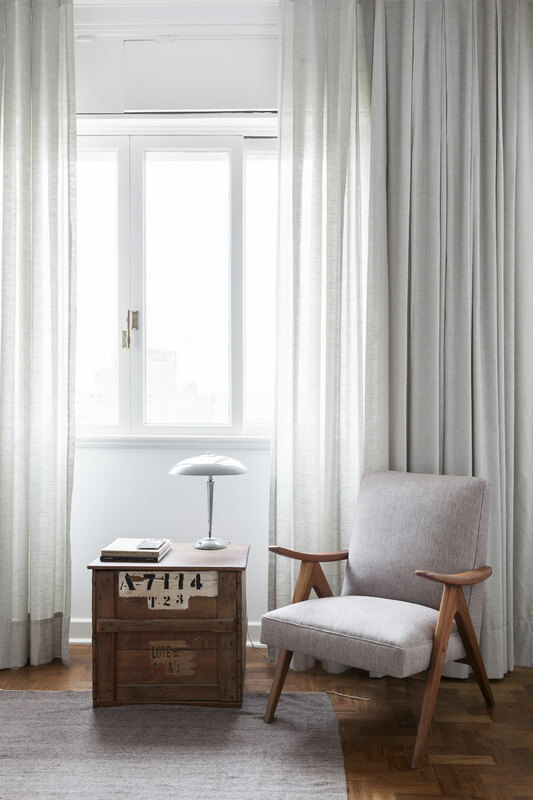 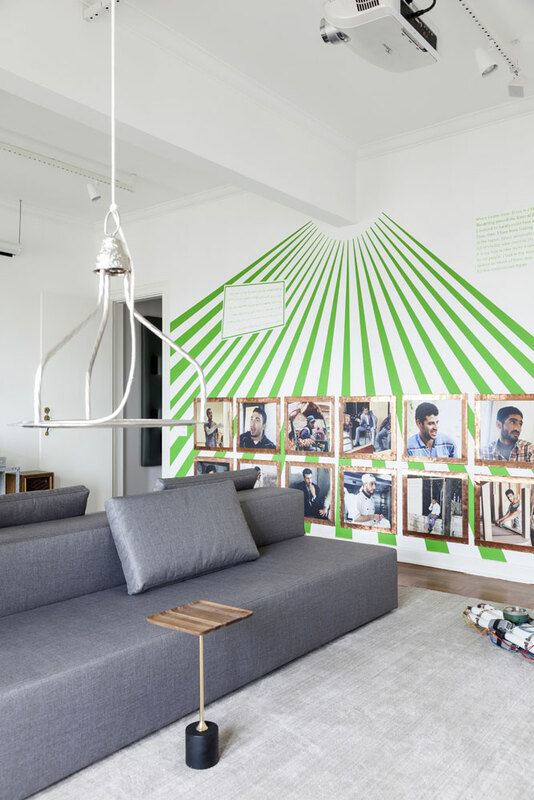 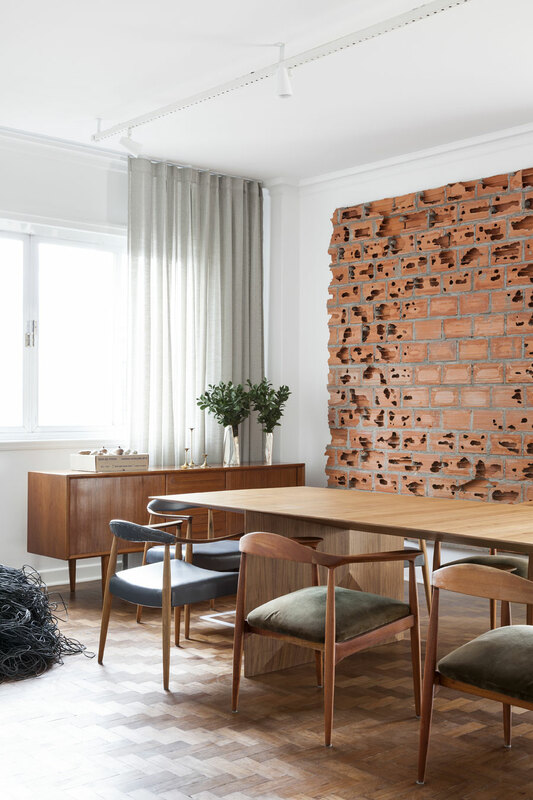 Paying respect to the original design of a beautiful construction and adding contemporary touches through the use of metal and concrete, 30 year old Brazilian architect Felipe Hess, together with Pia Quagliato, a collaborator in his firm, breathed new life to this 400 m² apartment in São Tomás in São Paulo, Brazil, designed by Bauhaus architect Franz Heep. 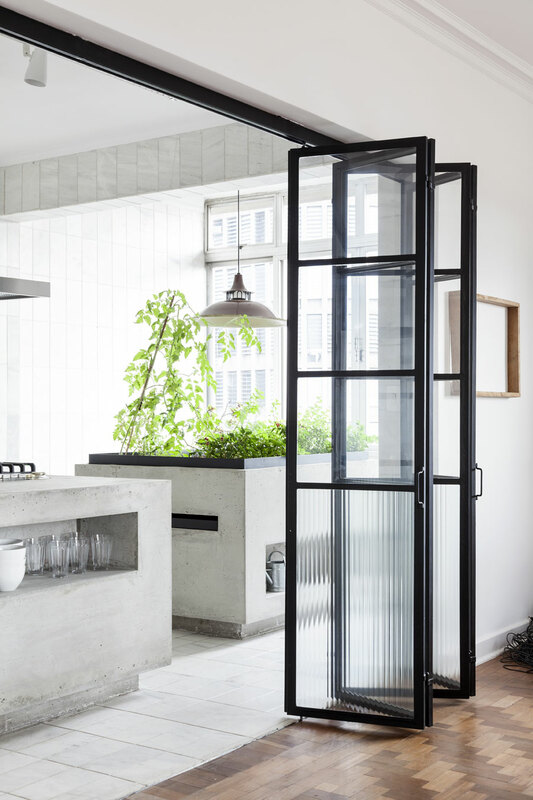 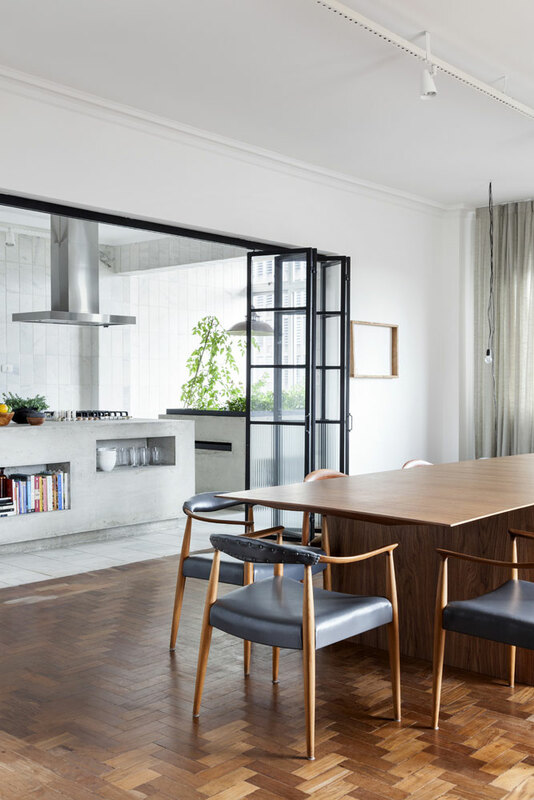 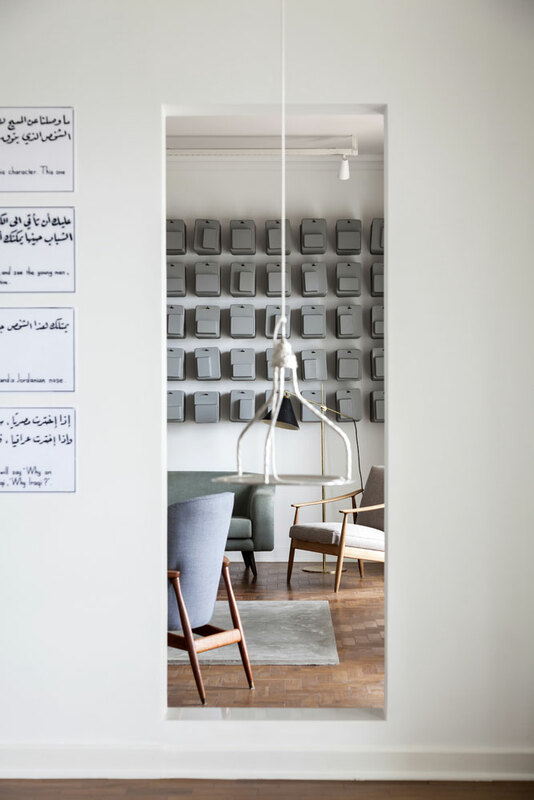 The renovated apartment, which was finished in 2015 and is now home to a young business couple and their prominent collection of contemporary art, was given only slight alterations to the initial floor plan originally drafted in the 1940’s, such as the glass and metal doors (made by the studio) to connect the dining area to the kitchen. 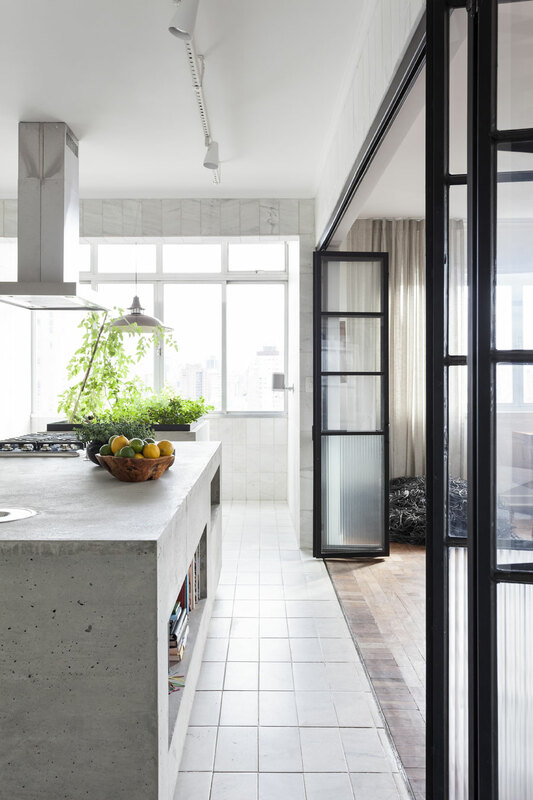 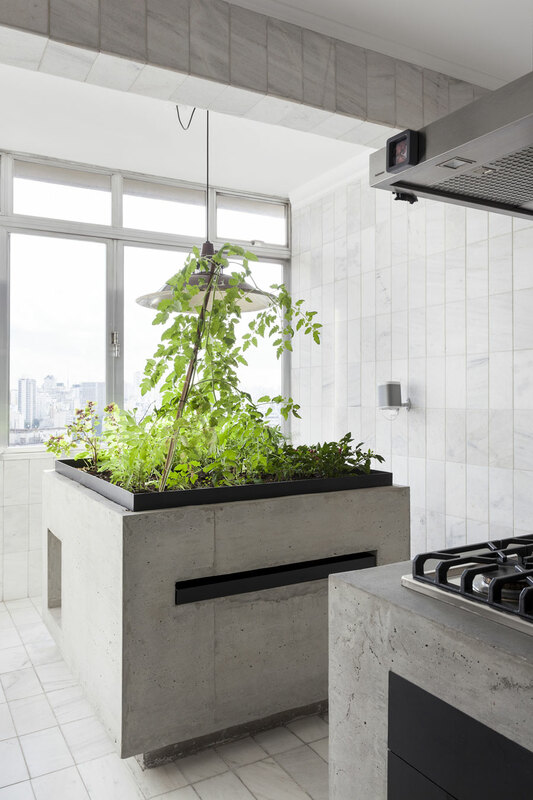 Otherwise, the existing marble wall and floors were kept intact to comfortably embrace two very simple concrete blocks that were created to offer practicality and beauty: while one of them has a built-in oven and sink, the other works as a little in-house garden for spices, with a modest lamp head leaning over it. 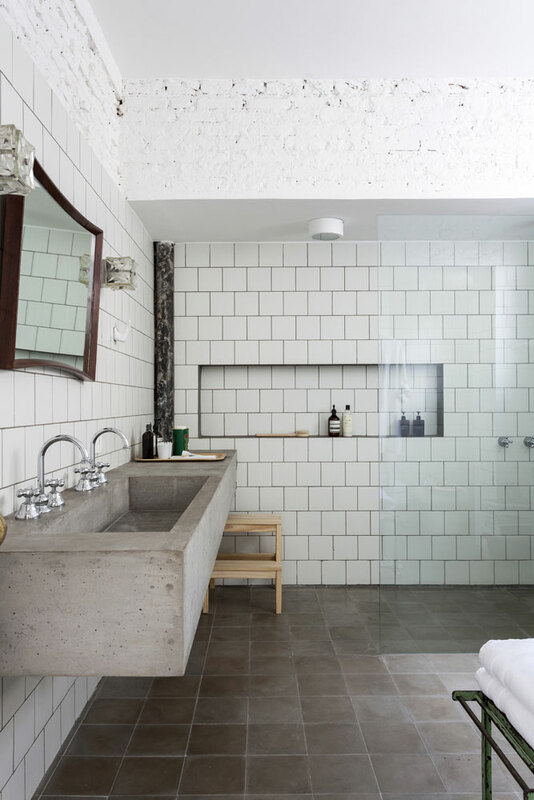 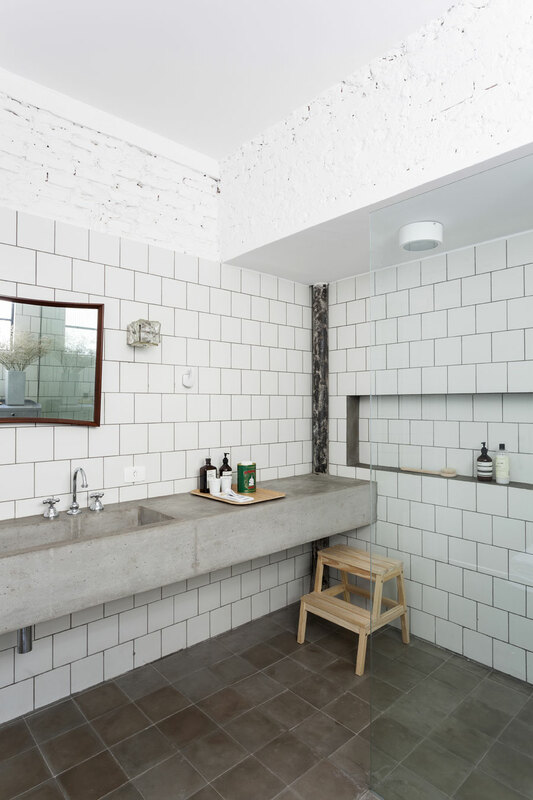 The bathrooms received the most alterations to their original design with the fitting of ceramic tiles and concrete sinks in a serene palette of white and gray. 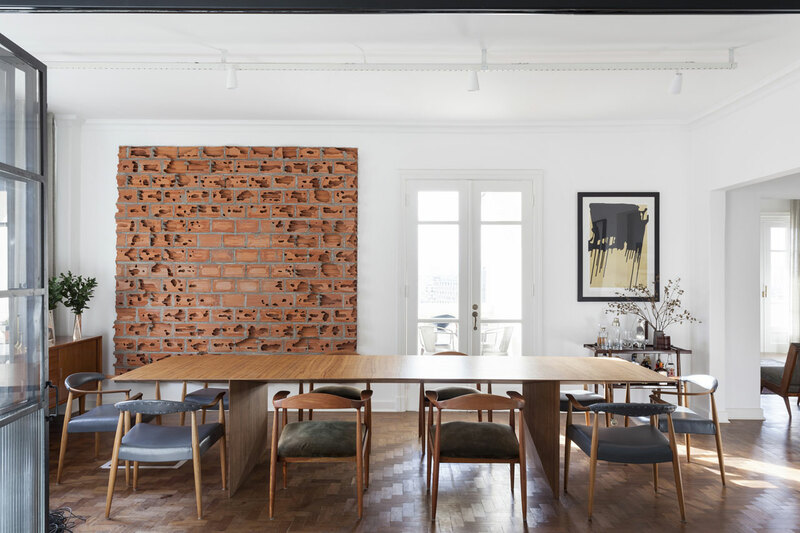 All in all, the materials used also suggest a sense of continuity in the project, which seems to be an occurring detail in Hess’s work. 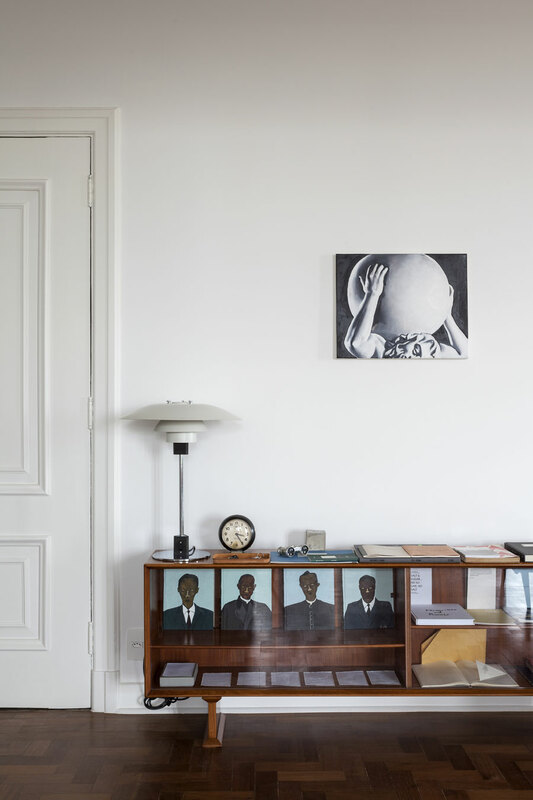 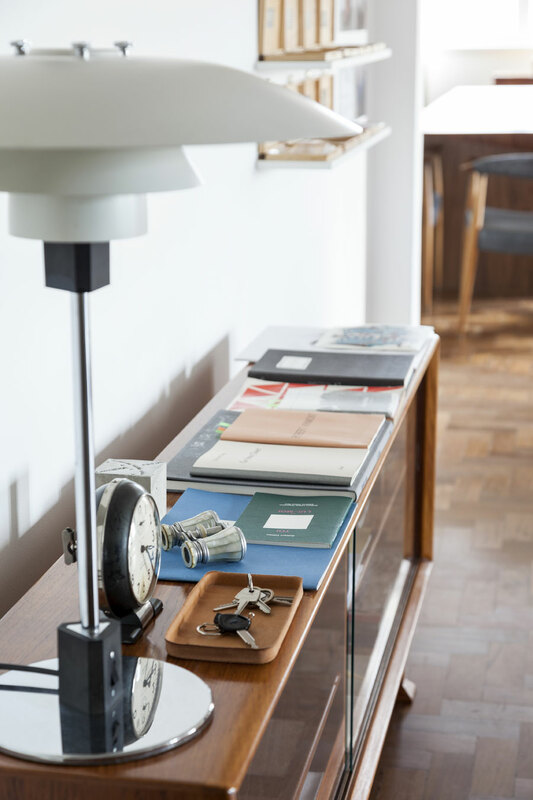 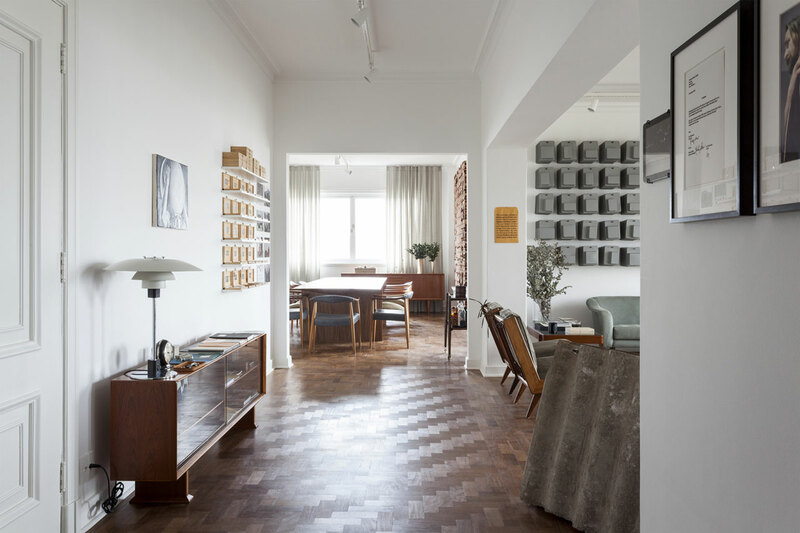 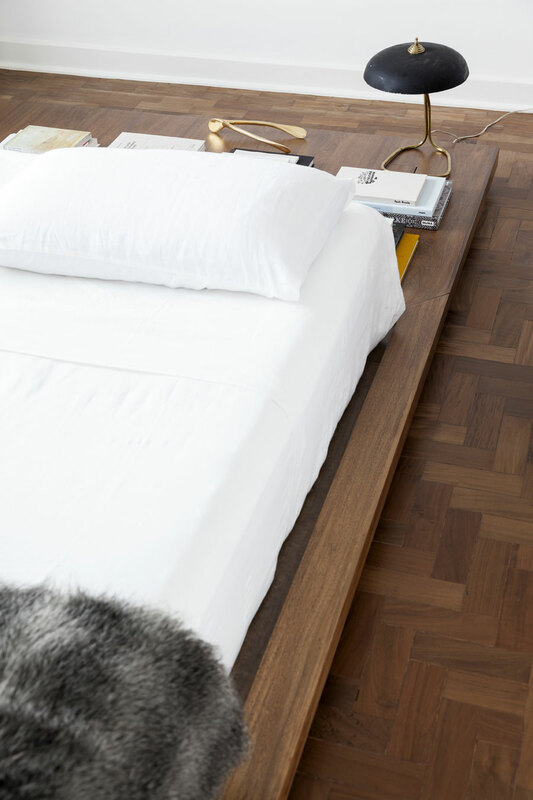 The flat’s authentic parquet floors and closets with their unique handles and doors were kept as they were, preserving the interior’s modernist style. 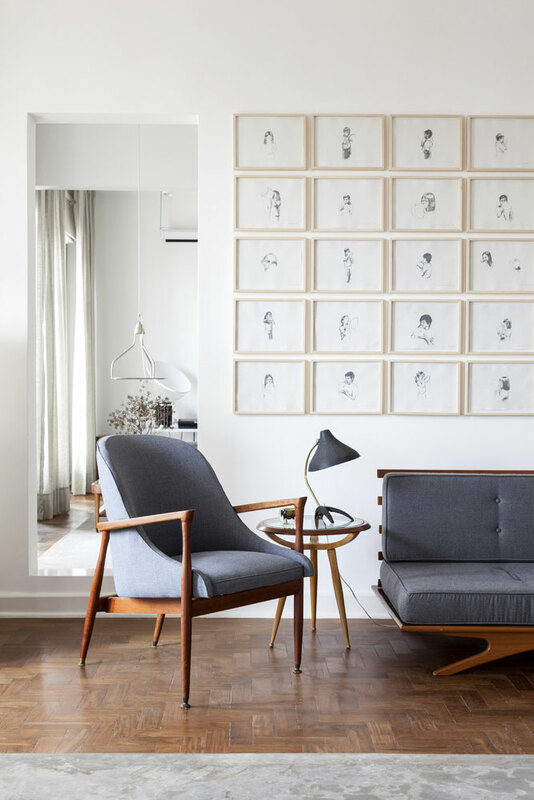 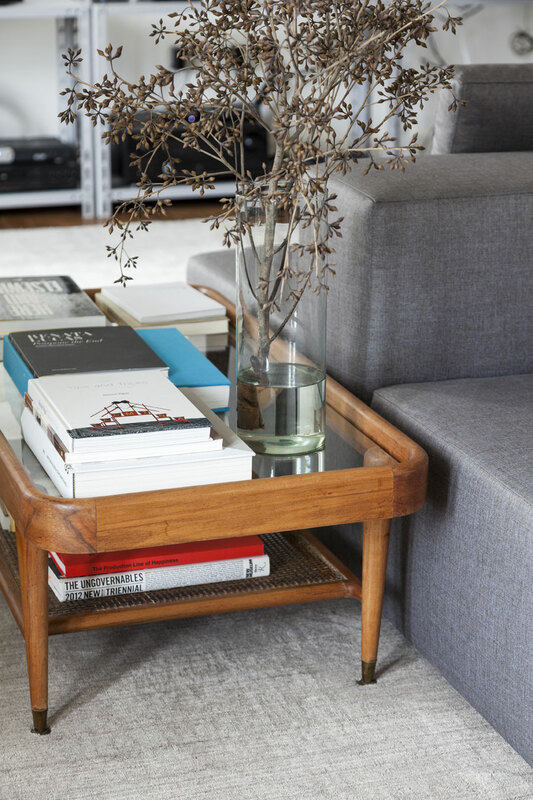 Plain metallic shelves and clean white walls cover the living rooms, laying out a blank space for the couple’s beautiful art collection to unfold its dynamics, paired with classic furniture from Brazil’s mid 50’s modernist wave sitting side by side with Danish classics and some anonymous finds. 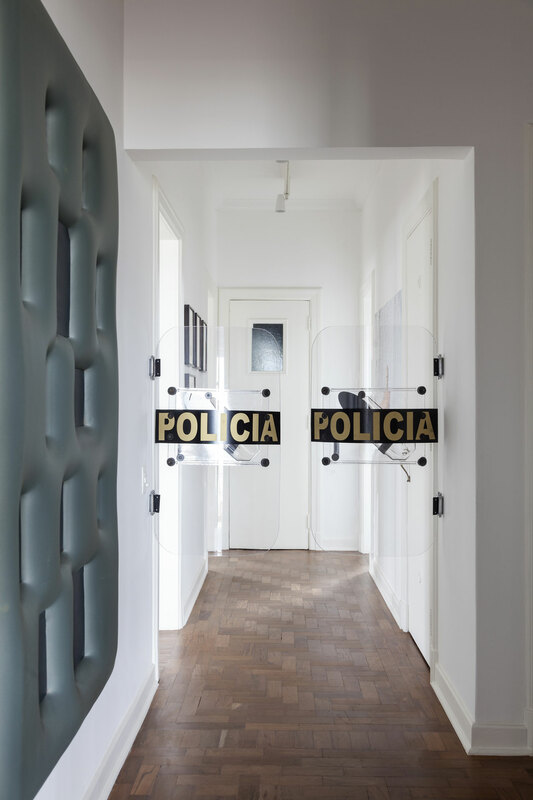 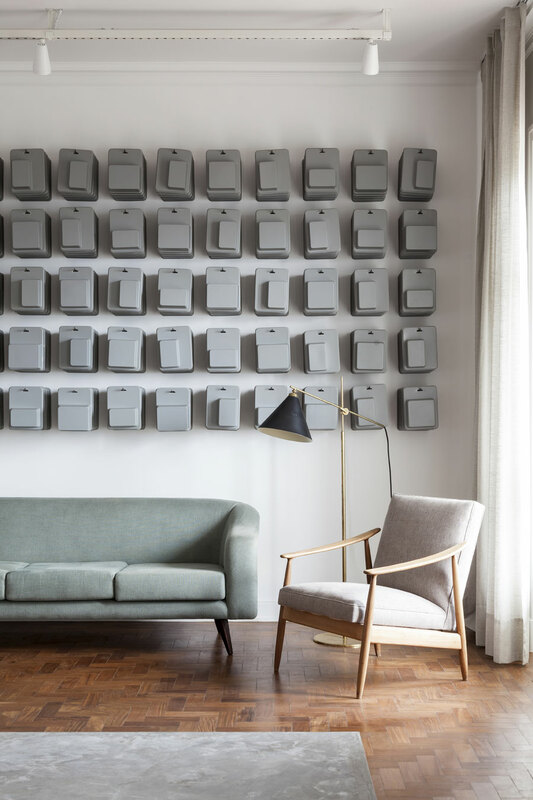 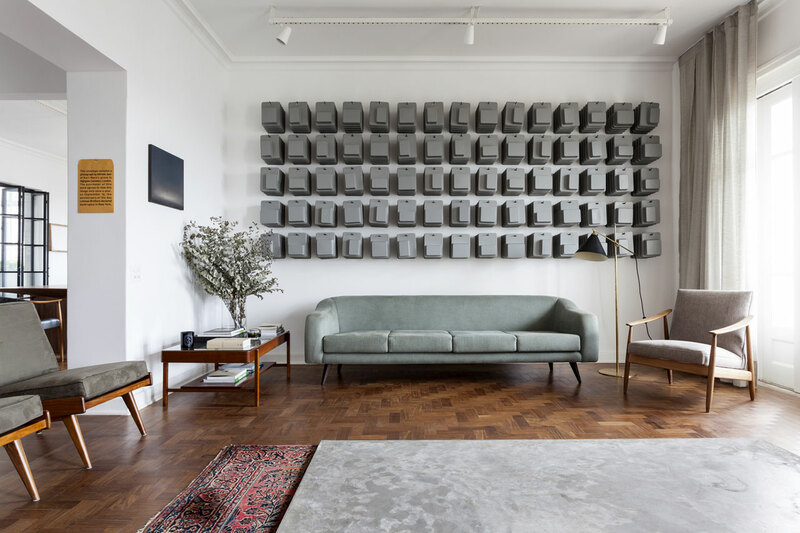 A red brick wall by Brazilian artist André Komatsu and two police riot shields used as a saloon door, by Turkish artist Ahmet Ogut, offer the space a sense of humor and youthful boldness. 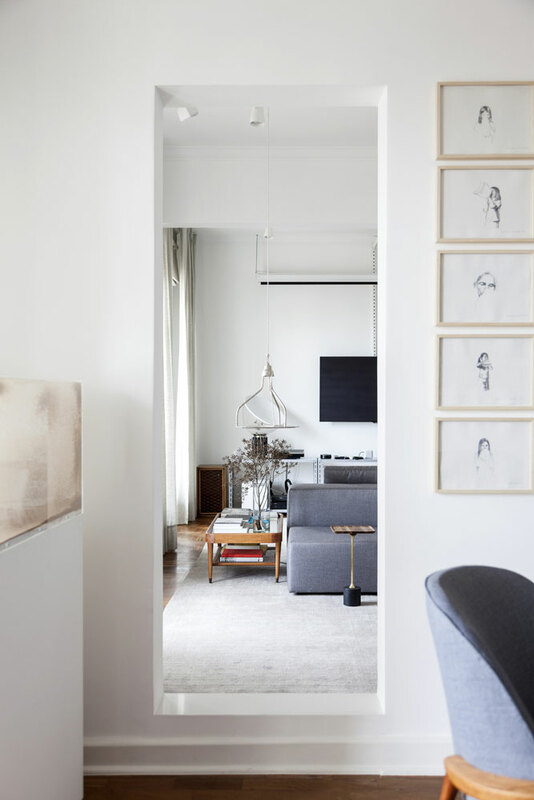 To further add to the playfulness of this otherwise strict structure, the architects have carved a passage between the living room and the TV room that looks more like a window, or a mirror creating the illusion of one room reflecting into the other: The opening is somewhat narrow and does not reach the floor, thus creating a small step, one of Felipe Hess’s favourite details in the entire project. 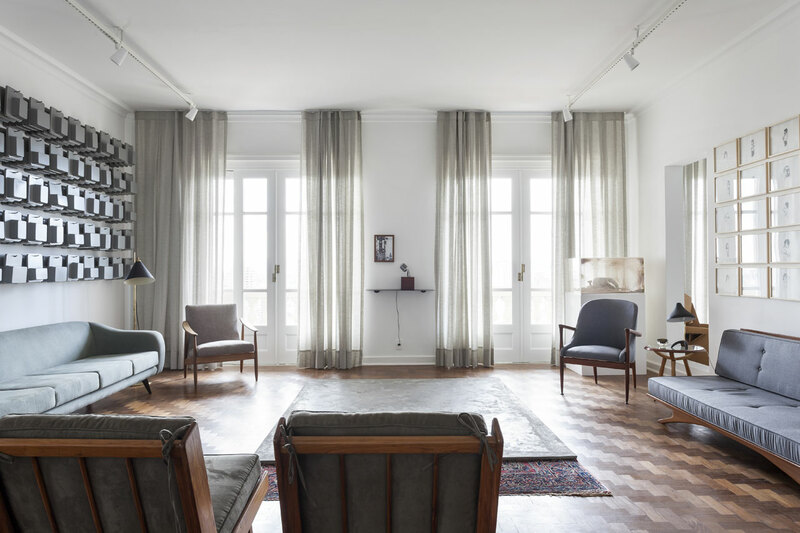 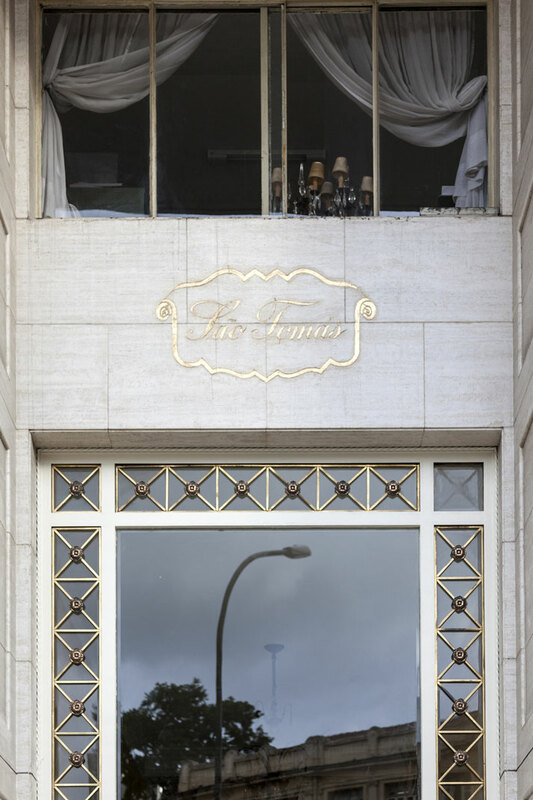 The two rooms are also connected through a very big balcony with original red tiled floor and offers the inhabitants an intriguing view: Creating a continuum of the apartment’s modern interior, the view of the cityscape outside features some of Oscar Niemeyer’s masterpieces, such as the 1050’s iconic Copan and Eiffel Buildings.